DUBLIN (CNS) — A prominent survivor and advocate for those affected by clerical abuse has urged Pope Francis to publicly name bishops who have been found guilty of negligence by church tribunals. Speaking at a public talk in Dublin Jan. 14, Collins said the Vatican meeting — which will include the presidents of the world’s episcopal conferences as well as senior Vatican officials — should prioritize making child safeguarding policies and procedures universal. “The experience from those countries where the abuse crisis has been faced is not being used to bring universal policies into place for the countries where it has yet to occur,” she told the meeting, organized by We Are Church Ireland. “You can be sure there is abuse of minors in every country where the church has a presence, as it is in every society. Yet the sleeping mandarins in leadership in our church seem to feel if they turn a blind eye, it will stay hidden, and they will not have to deal with it,” she said. 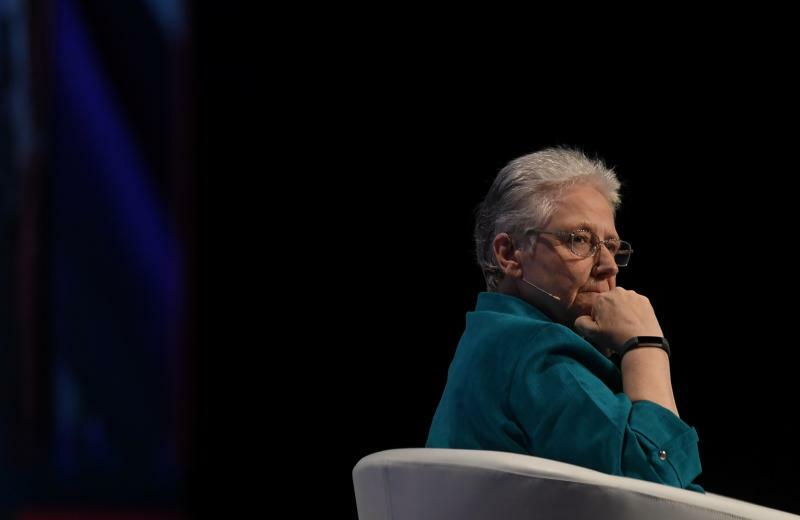 “The Vatican has not clearly set out what actually constitutes sexual abuse of a minor in the view of the official church,” she said. “At the moment the vagueness of the canon law in regard to abuse often leads to canon law trials not being able to bring in a guilty verdict in cases where most people would see clearly abuse has occurred. “If there is no consistent agreement across the church as to what is sexual abuse of a minor, then how can we have any hope of consistent handling of the issue?” she asked. She said she believes “zero tolerance” of abuse needs to be added to canon law and that this should be agreed upon by the bishops’ conferences. “Pope Frances also told me there had been guilty verdicts against bishops and he had removed the offenders. … He needs at this meeting to name those who have a guilty finding against them, what was the offense and what was their penalty. “He also needs to commit to making these guilty verdicts public in the future,” she said. “My fear is that what will hear is that there has been a great deal of prayer, reflection, and ‘fruitful discussion,'” she said. “Some of the reason for this lies in the way the Vatican actually goes about its work. Clericalism is embedded in its fabric. It is inefficient, full of cumbersome bureaucracy, (with) jealousies between departments which leads to a lack of cooperation. “I do not believe change will happen if we wait for it to come from inside. The laity have to keep speaking out strongly for the changes and not be diverted. The obvious need for the involvement of the laity, including women, at every level must happen if the church is to be brought into the 21st century with its people. “Persistence and patience is what is needed; there are no quick fixes, but no change will come unless we work for it. The only alternative is to walk away and that is not the answer,” she told the gathering.